Was Double Government in Afghanistan a Folly? During and after the First Anglo-Afghan War, the British embarked on a hybrid form of colonialism, it didn’t work. A report from Noah Arjomand, titled “The Folly of Double Government: Lessons from the First Anglo-Afghan War for the 21st Century” and published by the Afghan Analysts Network this month, outlines why the unique governmental structure maintained by the British during and after the First Anglo-Afghan war failed — and what that failure can tell us about modern Afghanistan. The Great Game was a “veritable cold war between the British and Russian empires” in the 19th century. Imperial Russia pressed south, extending its influence through Central Asia. By the end of the century, one by one each of the great khanates (Kokand, Bukhara, and Khiva) would fall into Russian orbit. Even before the khanates fell, the British empire felt threatened — more specifically the British feared that Russia was setting its sights on the crown jewel: India. In 1839 the British began to suspect that Afghanistan, led by Amir Dost Muhammad Khan, was swinging toward the Russians. Dost Muhammad had rejected British pressure to subject his foreign policy to their will and renewed relations with Russia instead. In response, the British sent the East India Company’s Army to restore Shah Shuja al-Mulk (also known as Shuja Durrani) to the throne. Arjomand writes that after putting “their man” back on the throne, the British “embarked upon an experiment in state-building designed — they insisted — to shore up popular support for Shah Shuja and set his governments on its feet.” Arjomand notes that the British genuinely viewed Afghanistan as a buffer state — they were concerned with its strategic location and not contemplating territorial acquisition. Establishing “Afghan independence,” however, was viewed as not just plucking Dost Muhammad from his throne and sidelining his tribal faction (the Barakzai) in favor of Shah Shuja and the Durranis, but encouraging the transformation of the Afghan state and economy. Like indirect rule, it seeks to work through rulers who hold local legitimacy; however, double government also features a colonial administration working in parallel to the local ruler. The colonial administration directly intervenes in local politics with the aim of reshaping the state headed by that local ruler. The failure of British double government, Arjomand stresses, “should not be dismissed simply as an example of an attempt to impose centralization and bureaucratization on a country that has rejected it throughout history.” Indeed, after returning to the throne Dost Muhammad successfully created a national bureaucracy and a regular standing army. 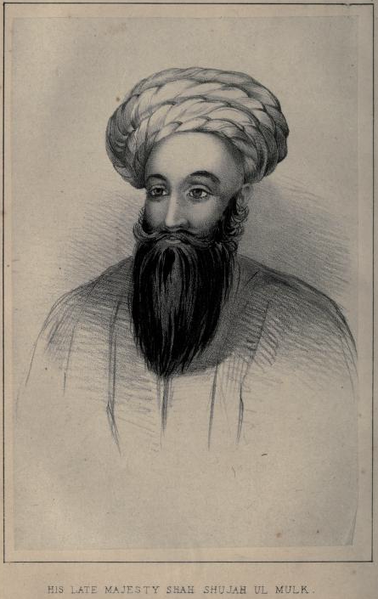 Dost Muhammad (and another subsequent leader, Amir Rahman Khan) “sacrificed subservience in foreign policy to the British for foreign support (without direct foreign intervention) that allowed them to consolidate power within Afghanistan.” It is not that Afghanistan is ungovernable, but that the system of double government is inefficient, contradictory, and sets the local ruler up for failure of one kind or another. Interventions and adventures in state-building from the past two decades, such as those in Afghanistan, share characteristics with British double government: they are very expensive administratively and foreign actors often end up circumventing or overruling the very same government they aim to build up. Leaders — such as Hamid Karzai, and surely Ashraf Ghani now as well — face “the dual challenge of reassuring their foreign patrons of their commitment to ideals of good governance while also convincing their domestic constituents of their local authenticity and independence from those patrons.” Local rulers, so tightly observed, cannot say one thing to their people and a different thing to foreigners — either they become labeled a liar or seem to be a puppet. Inwardly or secretly we interfered in all transactions, contrary to the terms of our own engagement with the Shah; and outwardly we wore the mask of neutrality. In this manner we gave annoyance to the king upon the one hand, and disappointment to the people upon the other. The legacy of empire was born of profit-seeking.